Our lakes and rivers are under attack by invasive species. Do your part to stop them! When you boat this summer, aquatic invasive species like zebra musselscould hide in your boat and trailer. By hitching a ride on boats like yours, invasive species can spread and infest new lakes and rivers across Texas. It is illegal to possess or transport aquatic invasive species knowingly or unknowingly. And, beginning today, boaters must drain all water from their boat and on-board receptacles before leaving or approaching a public body of fresh water anywhere in Texas. This regulation will help slow the spread of invasive species and applies to all types and sizes of boats whether powered or not: personal watercraft, sailboats, kayaks/canoes, or any other vessel used on public waters. Learn more about the new statewide draining regulation, including how it impacts the transportation of live bait and fish and the special provisions in the rules for anglers participating in fishing tournaments. CLEAN off any vegetation, mud or foreign objects on your boat, trailer and gear before you leave the lake. DRAIN all water from your boat and gear. 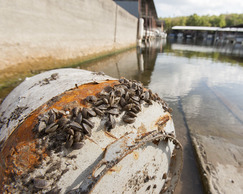 Small invasive species like zebra mussel larvae are invisible to the naked eye and can hide in the water in your motor, bilge, live wells and bait buckets. DRY your boat and trailer for a week or more before entering another water body. Thank you for doing your part to stop the spread of these destructive invaders. If you’ve ever watched the television’s “Survivor” or seen “The Hunger Games” movie, you may want to take part on Saturday, May 10 in the Survival Games at Copper Breaks State Park near Quanah. Participants may compete individually or as part of a team from 10 a.m. to 2 p.m. in a series of games that challenge the mind and body. Survivors will have to make their own fishing rig and catch a fish, build a shelter, navigate a trail and hit a target with a throwing stick. After the competition, participants can enjoy the Meet the Longhorns program. Park admission is $2 for persons 13 and older. For more information on the Survival Games or other park programs or facilities, contact the park at (940) 839-4331. The 2,000- acre park is located 13 miles south of Quanah and 8 miles north of Crowell on State Highway 6, about an hour’s drive west of Wichita Falls. AUSTIN—Plan a picnic and let mom relax at your favorite state park this Mother’s Day, May 11. Picnics offer a unique twist on traditional Mother’s Day gifts, as well as quality time to bond through other park activities such as hiking, biking and birding. State park picnic options range from outdoor tables and charcoal grills to full kitchens and group pavilions available by reservation. Some picnickers bring their own cookware such as Dutch ovens and gas stoves. 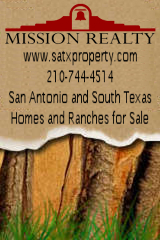 Choose from a variety of scenic, and often well-shaded, areas near rivers, lakes and beaches. For help planning the best picnic for your mom, visithttp://www.texasstateparks.org/picnic. For more inspiration, view the Texas Parks and Wildlife “Picnics and Outdoor Cooking” Pinterest board, featuring “Dutch Oven Green Chile and Chicken Enchiladas,” which won the 2013 TPWD Outdoor Cooking Contest. See this video on how one Houston area family celebrated Mother’s Day by heading outdoors. AUSTIN— Texas Game Warden Michelle Mount has been named Officer of the Year by the Southeastern Association of Fish and Wildlife Agencies (SEAFWA). The award was presented by Texas Parks and Wildlife Department Executive Director Carter Smith and TPWD Commission Chairman Dan Hughes Jr. at the Thursday public hearing of the Texas Parks and Wildlife Commission. This marks the 44th year that this award has been presented to a Texas Game Warden. Mount began her game warden career in 2003 when she entered the 49th Texas Game Warden Training Academy. Stationed in the Dallas-Fort Worth metroplex, Mount is well-known for her expertise dealing with exotic game, fish and plant importation. During one case, Mount identified and helped stop the importation of thousands of tropical fish from China into Texas. If they had been released in public waters, the fish could have caused considerable damage. Numerous state charges and federal Lacy Act violations were filed on three importers. Among her other responsibilities, Mount serves as the regional GIS coordinator for the Law Enforcement Division and often utilizes her skill with the map plotter to make maps indicating where violations have occurred for use during court testimony. As a GIS coordinator, she is prepared to be involved with any situation throughout the state to document movement and points of interest for follow up analysis by the Incident Command Team. Utilizing her computer skills, Mount accessed the internet on numerous occasions to work cases involving threated, endangered, and invasive species. Mount also excels with TPWD’s public outreach mission and conducts numerous programs throughout the year. She also presents monthly hunter education classes, speaks to various school programs, and works with inner city youth teaching them to fish through Operation Outdoor events. Additionally, she volunteers at safety fairs, women in the outdoors events and numerous school programs. AUSTIN— Social media websites such as Twitter and Facebook allow people to find breaking news about closures for business and schools, weather and more from portable devices.